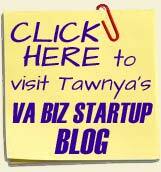 Virtual Assistant Cruise 2016 – Take Your Business to the High Seas! 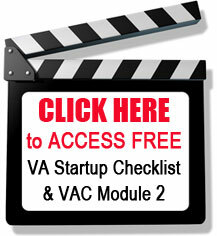 Hey, have you heard the BIG NEWS spreading through the VA industry? 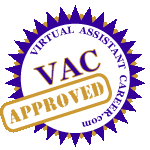 My good friends, Elayne and Pam of GAVA (Global Alliance of Virtual Assistants) are at it again and this time it’s even AWESOMER than ever! 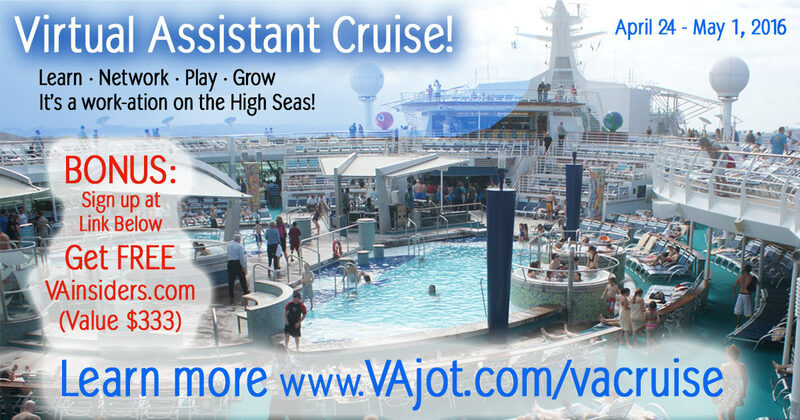 They just announced the First Annual Virtual Assistant Cruise and you will not believe how affordable they’ve made it. It’s everything you’ve never even dreamed of in a conference. Are you as tired as I am of those ho-hum, same old conferences in very expensive but mediocre hotels? Spending your days in windowless rooms with the air conditioning set so low (to keep you awake) that all you can think of is running up to your (ho hum) room and grabbing a blanket? Are you tired of spending a fortune on overpriced hotel food? I know that you know that as a serious business owner you MUST invest in training and networking and all those other important things that live conferences provide. But now it can also be so much FUN! Pam and Elayne showed me a sneak peek at what’s in store for us and I can’t wait. And, they’ve even negotiated a $25 onboard credit per stateroom! And there are payment plans that work out to less than $100/month. Seriously! I know that there are only a limited number of each type of cabin so, get over there quickly to get the cabin that you want.